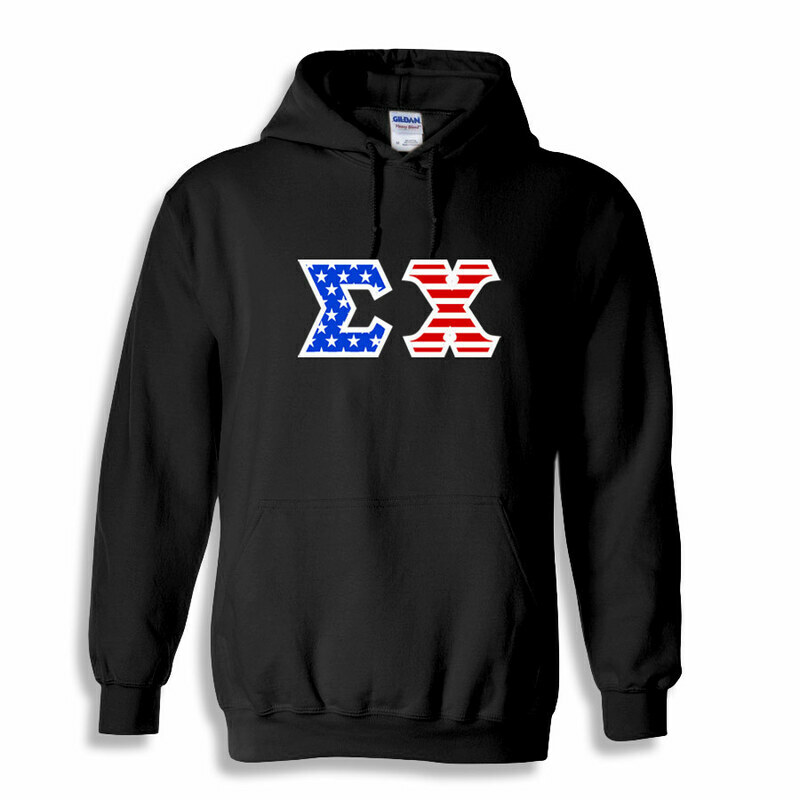 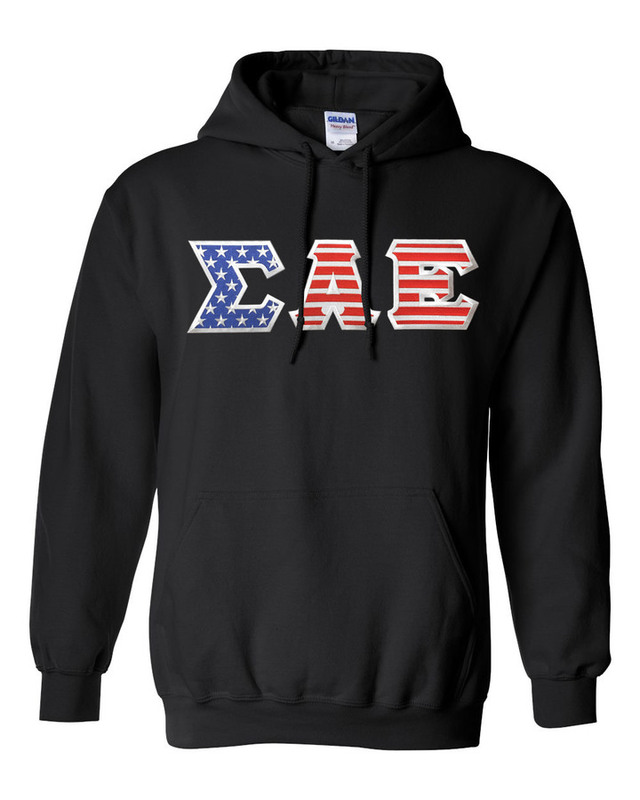 Show off your American pride along with your Greek pride by donning a patriotic American Flag Lettered Hoodie from Greek Gear. 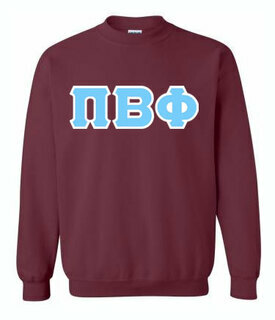 The red, white and blue lettered design can be customized with your choice of up to three Greek letters for the front. 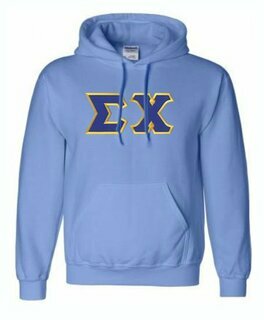 Choose the letters that represent your fraternity or sorority, and we'll add them to a heavyweight cotton hooded sweatshirt. 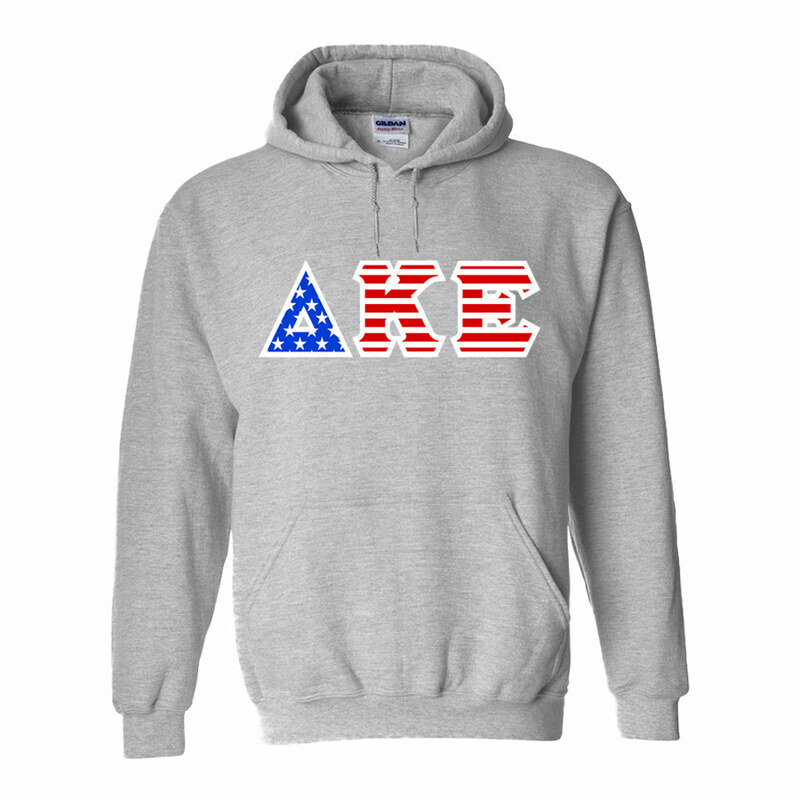 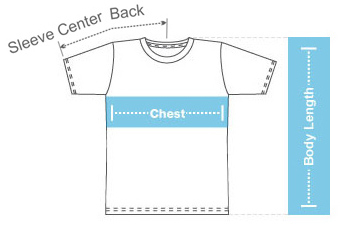 The first letter selected will be blue with white stars while the remaining letters will be red and white striped. 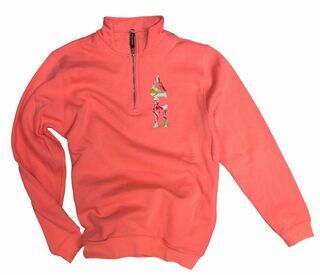 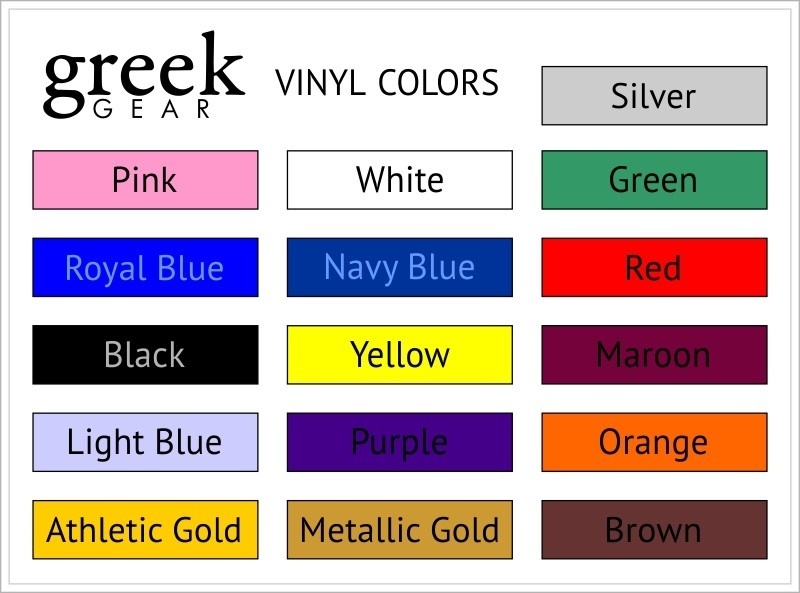 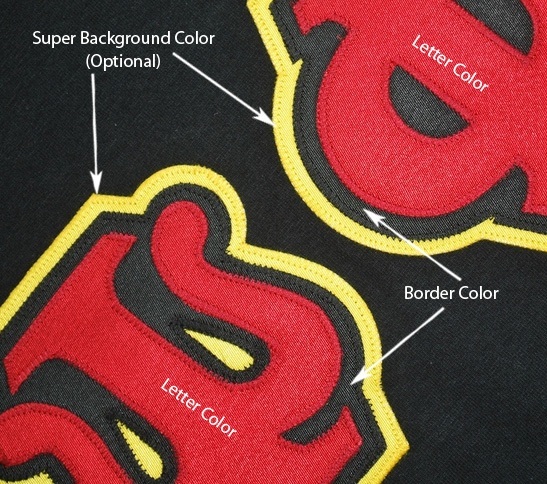 The 4-inch twill letters can be added to your choice of hoodie color.